Valve has moved quickly with their Steam Box project, since Gabe Newell told reporters at the VGA awards that his company were planning to move into the living room with their gaming distributor Steam. At CES, Valve showed off the development stage prototype of what could be the Steam Box, a small Piston shaped console. Valve has no date for the console release, although they hope it will be out before the end of 2013. Valve have been adding various new features to their service in order to make the move to the living room a simple one. They have already branched out into different forms other than games and could start selling movies, programs and other media. They ported Steam onto Linux and have been working on Linux a lot recently, which will be the platform their Steam Box OS is based on. And the “Big Picture” mode, which allows Steam to work better on large TV screens, shows that Valve want to make the experience not only simpler but better than it would be on smaller PC screens. 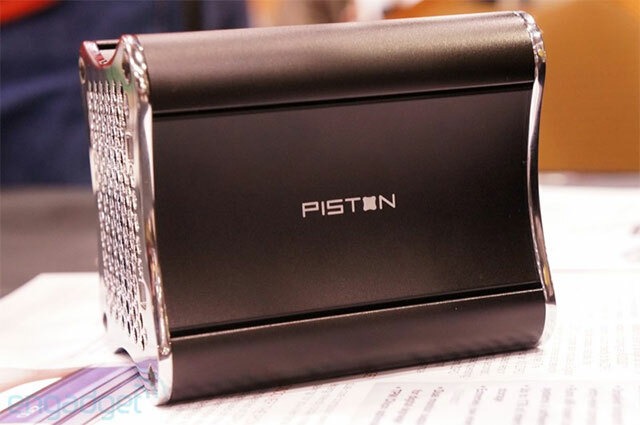 The Steam Box is being designed by Valve and Xi3, the project codename is ‘Piston’, due to the design. At the size of a grapefruit, it seems to be going against the Ouya console, rather than Xbox and Playstation. This would make sense, considering both the Ouya and the Steam Box don’t have discs, but digital downloads. We are unsure what the next generation of gaming will bring, but Sony seem adamant to keep discs part of their ecosystem, as new patents show. Steam has been an excellent way to purchase games in the past on PC, but with Windows 8 making Valve feel uneasy and the pressure to move into the living room as every other competitive distributor is, will the Steam Box succeed or fail.